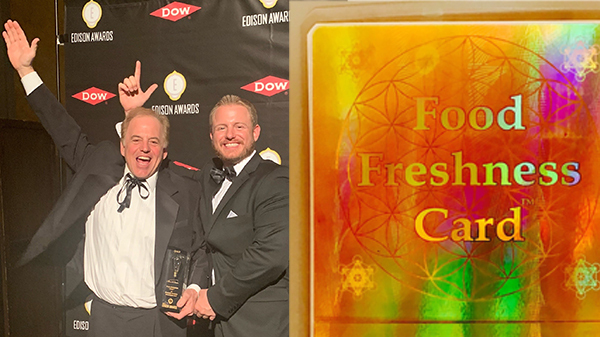 NEW YORK, April 8, 2019 /PRNewswire/ — Natures Natural Solutions has announced that the Food Freshness Card has won the Gold Medal in the 2019 Edison Awards in the Food Tech Solutions. The award is the latest in a long list of awards and accolades the product has won since its launch just a few years ago. Father and son team, Rick and RJ Hassler, developed and patented the Food Freshness Card. They joined hundreds of senior executives from some of the world’s most recognized companies, including IBM, to acknowledge the hard work and commitment of all of the 2019 Edison Award winners at an April 4 event at The Capitale in New York City. 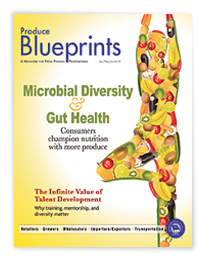 Hassler added that in independent laboratory testing, the Food Freshness Card increased shelf life 40 percent for many fruits, vegetables and breads. From farm to fork, the Food Freshness Card naturally extends shelf life in storage, transportation, supermarkets, restaurants and the home. Other recent awards bestowed upon the Hassler duo and the Food Freshness Card include Inpex, America’s largest invention show, Grand Prix Award; IENA in Germany, Bronze Medal, Best Invention/New Product; United Fresh Innovation awards and Best New Food Safety Solution 2017 and 2018. Being recognized with an Edison Award has become one of the highest accolades a company can receive in the name of innovation and business. The awards are named after Thomas Alva Edison(1847-1931) whose inventions, new product development methods and innovative achievements literally changed the world, garnered him 1,093 U.S. patents, and made him a household name around the world. The Edison Awards is a program conducted by Edison Universe, a non-profit, 501(c)(3) organization dedicated to fostering future innovators. For more information on the program visit www.edisonawards.com.